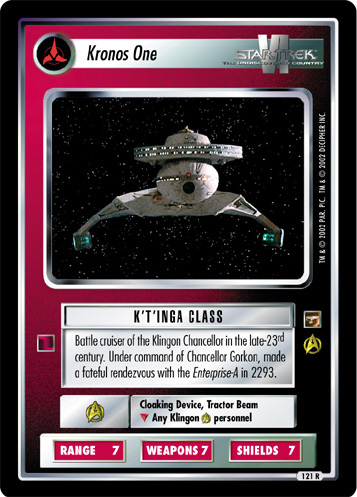 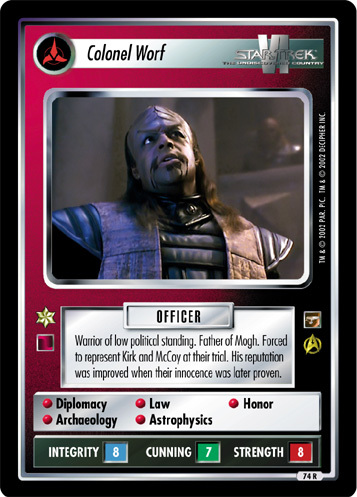 Klingon leader who first embraced the notion of peace with the Federation. 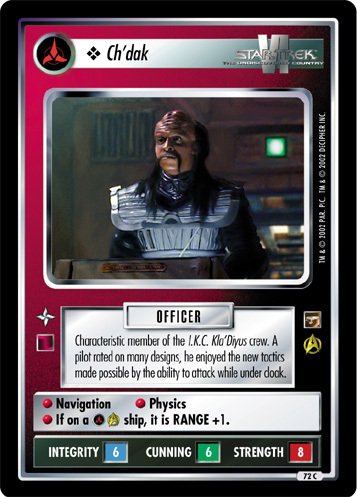 His vision mapped the way to the undiscovered country - the future. 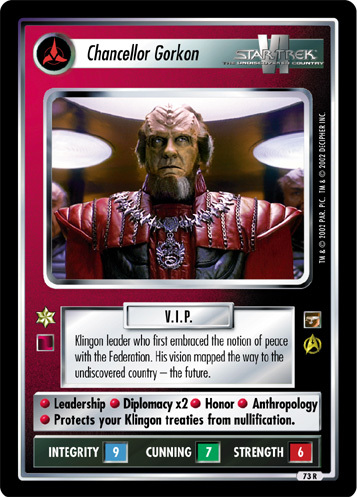 • Leadership • Diplomacy x2 • Honor • Anthropology • Protects your Klingon Treaties from nullification.